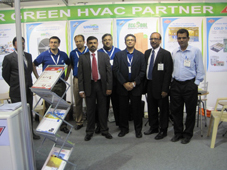 Bry-Air and associate group company DRI (Desiccant Rotors International), displayed it’s humidity control and energy recovery product range at the Big 5, show Dubai, from 22-25 November 2010. Bry-Air showcased it’s Compact Dehumidifier (FFB series), which is the smallest answer to all massive moisture problems. The Bry-Air FFB series compact dehumidifiers are effective in terms of space occupied and energy billing. They can easily be mounted on floor, wall and ceiling as per the need. The BryAir Compact incorporates the EcoDry Desiccant Rotor which ensures the highest drying efficiency at lowest cost. Bry-Air dehumidifiers have been providing solutions to moisture/humidity problems in the region for over two decades, supported by its office in Sharjah, UAE. 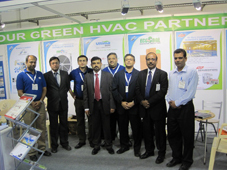 With over hundreds of visitors acknowledging & appreciating our products, it was an overwhelming experience for us.